About 100 people attended a town hall meeting to discuss selecting a police chief for St. Louis Wednesday night at the O'Fallon Park Recreation Complex. About 100 people attended a town hall meeting at the O'Fallon Park Recreation Complex in north St. Louis, convened by members of the Citizens Advisory Committee and representatives of the International Association of Chiefs of Police, based in Alexandria, Virginia. It was sponsored by Mayor Lyda Krewson’s office. "I don't want a bunch of dumbasses with guns walking around," Tara Tee said. 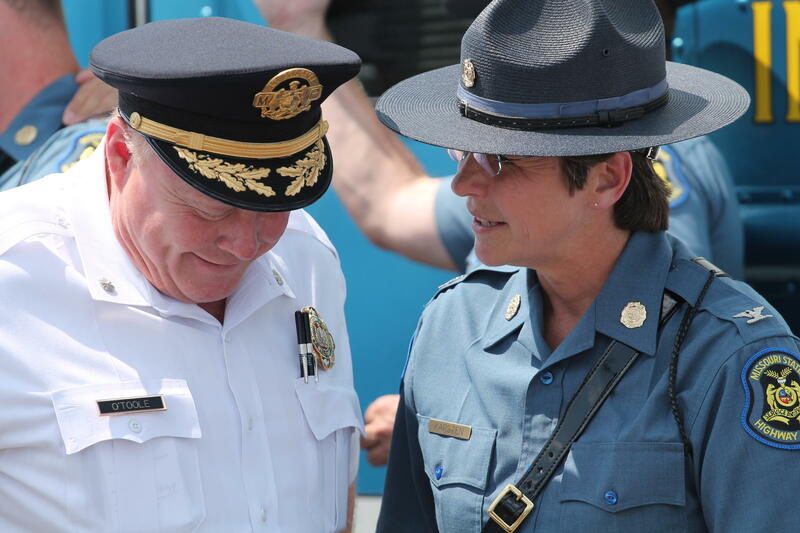 St. Louis Interim Police Chief Larry O'Toole, left, is under fire for the way the department has handled the protests that followed a judge's decision to acquit former officer Jason Stockley of murder. Yolanda Brown, the 1st Ward Democratic committeewoman, took O’Toole to task for the way police have responded to the protests that have occurred since a judge said Friday that former St. Louis officer Jason Stockley wasn’t guilty of first-degree murder in the 2011 death of Anthony Lamar Smith. She was particularly critical of the “Whose streets? Our streets” chant by police officers after a mass arrest in downtown St. Louis late Sunday. People who attended the meeting said they want the next chief to shape policies so officers are held to higher standards. Too often, police officers who have killed black people have not been held accountable, said Kevin Nevels, a military veteran. He said he has been harassed by police. "If I walk out of here tonight and a police officer shoots me I guarantee he won't be convicted," the 50-year-old said. 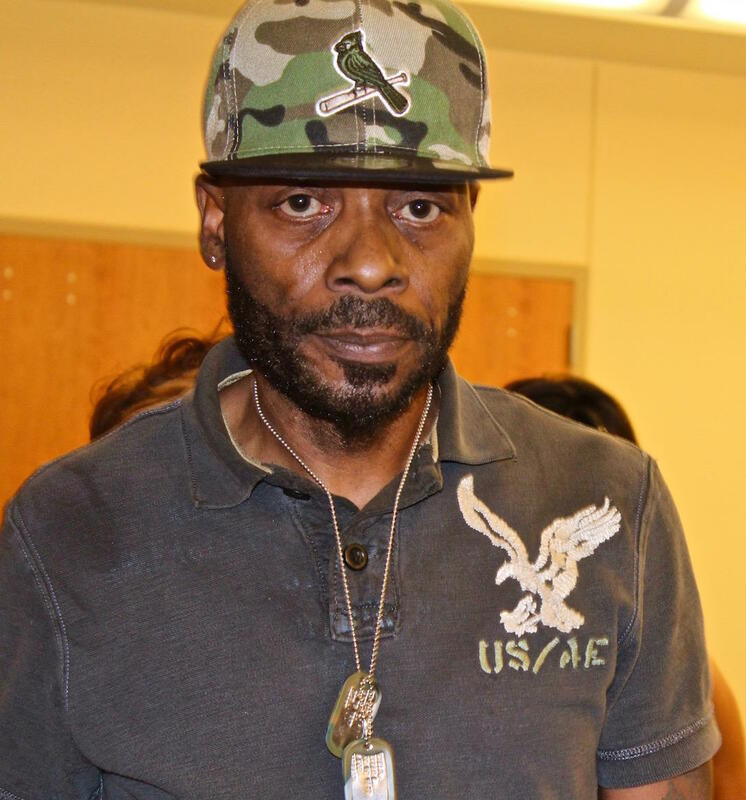 Veteran Kevin Nevels described being harassed by the police. Others said the next chief needs to be someone who can make sure whistleblowers in the department do not face retaliation. The association’s senior program manager, Andrey Pankov, said he has interviewed people around St. Louis for the past two days, asking them what they want in a chief. “I’ve heard from a lot of groups that are really unhappy with the way the protests are being handled,” said Pankov, who did not specify the complaints. For much of the meeting, those who spoke were angry, but respectful. But at times, tempers flared. Some activists, including artist Elizabeth Vega, suddenly projected the livestream of Sunday's arrests, when police closed in around protesters, media and others. Someone then turned off the lights. After many minutes of people in the audience narrating the video and saying things like, “Oh my God,” people in the room began to shout, “No justice, no peace!" Organizers of the meeting did not interfere. In the back of the room, members of the audience held signs that read, "End Jim Crow justice" and "Stop police killings." Like many in the audience, Winnie Caldwell recorded much of the session. Teri Powers, who lives in the Dogtown neighborhood, said she is upset about the militarization of police departments across the country, including in St. Louis. Ciera Simril asked members of the panel how deep their investigation would go into the selection of candidates for chief. After the meeting, Simril said she did not feel heard. She said she doesn’t think the panel really listened to the speakers and that the meeting was for just for show. 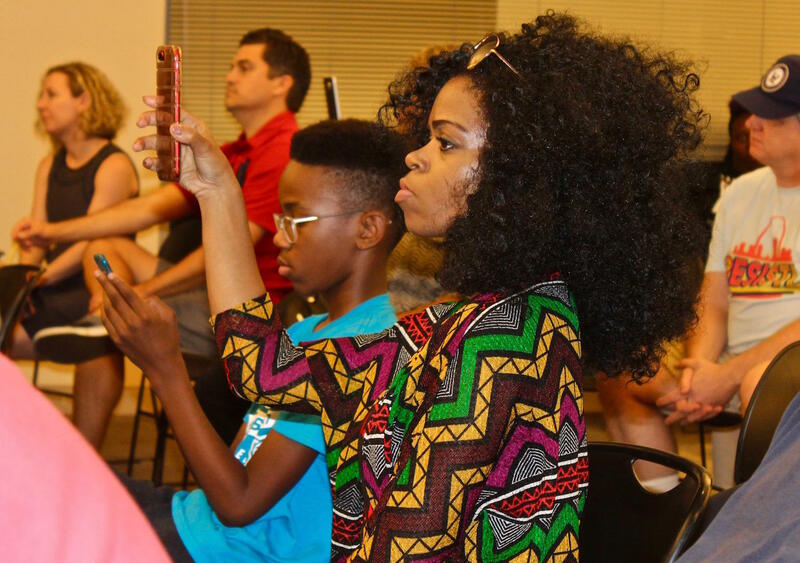 “I feel like this is just for the Mayor Krewson to say, ‘I went all around the city of St. Louis to make sure residents are heard,’ when in actuality, it’s some crap,” Simril said. The St. Louis chapter of the NAACP wants the St. Louis circuit attorney's office to institute an independent investigation unit, it said in a statement. 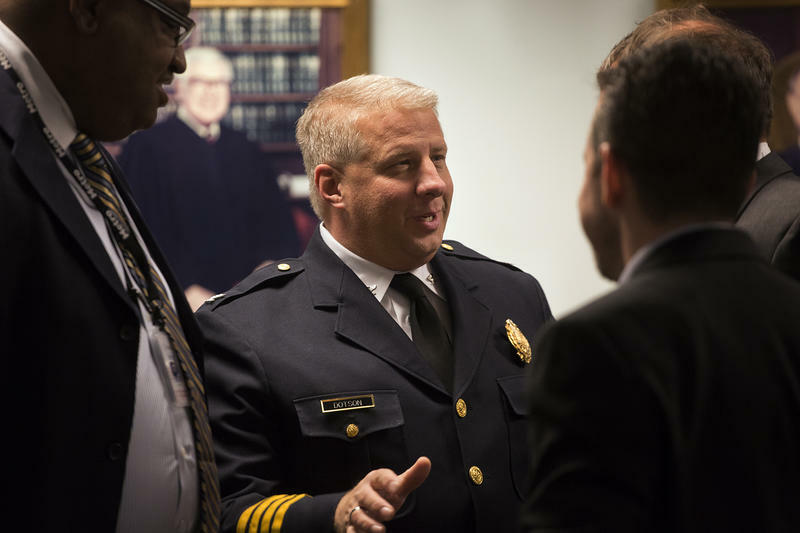 For the first time in its history, the St. Louis Police Department can look beyond its ranks for a new chief, something that officers and community members say the city should take full advantage of. “That person shouldn’t have any connection to the department,” according to Sgt. Heather Taylor, the president of the Ethical Society of Police, which represents officers of color.